and texture of the filling. 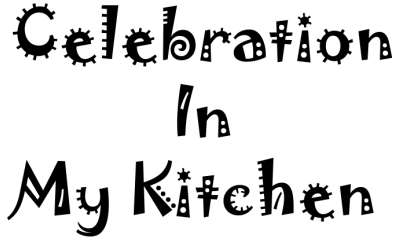 The filling can vary with sausage meat, ground chicken, beef, pork or even vegetables. Leftover roast or ground mince can also be used. Normally, raw meat is enclosed inside the pastry but I prefer to cook it first to render off any excess fat, cool and then use it to prevent the bottom of the pastry from getting soggy. 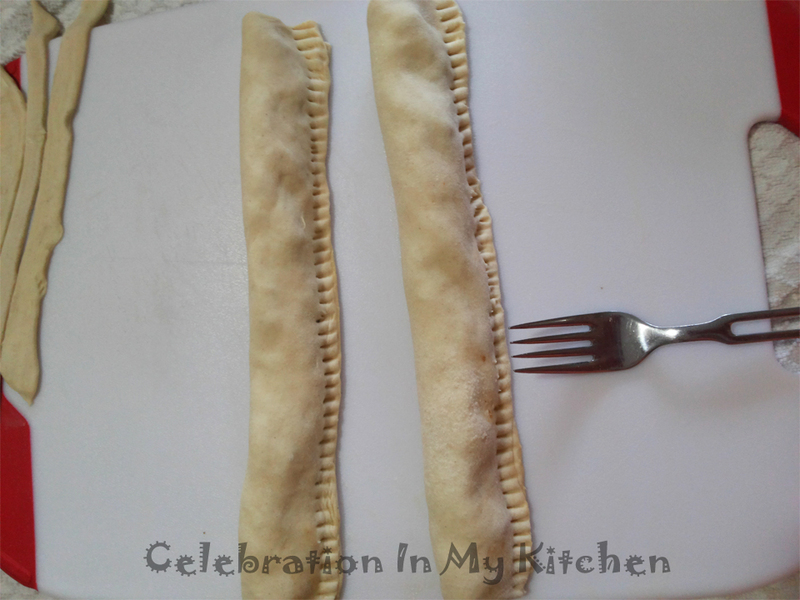 Cooking the filling in advance ensures that the pastry will be crisp both at the bottom and top. I have used ground beef mince, cooked it in a skillet to brown and render any fat which was drained out. Spices and other ingredients were cooked with the meat to blend and soften. The filling was cooled, pulsed a couple of times in the food processor for a finer texture (not paste) combined with breadcrumbs and an egg. Formed into a thin log and place on puff pastry sheets to be enclosed. 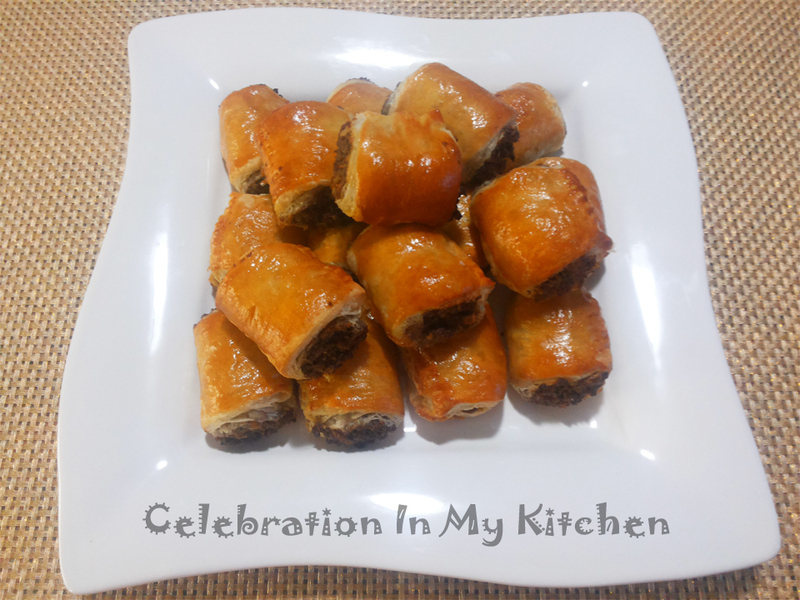 Baked in a preheated oven of 400 F or 200 C ensures that the sausage rolls will puff and brown uniformly within the required time of 15 to 20 minutes. Incredibly tasty with the flavourful filling and outer crispy pastry, a true delight to savour. Once meat changes colour and excess fat drained out, add onion to the meat with garlic, ginger and green chillies. When onion is soft, add the tomato and cook till pulpy. Stir in the meat masala powder, vinegar and salt. Set aside to cool. Pulse the meat mixture a couple of times in a food processor for a finer texture not paste. Transfer to a bowl, add egg and breadcrumbs. On a lightly floured surface, roll a block of puff pastry into 8" x 10". Trim off rough edges on either sides and the sheet should measure around 7" x 10". 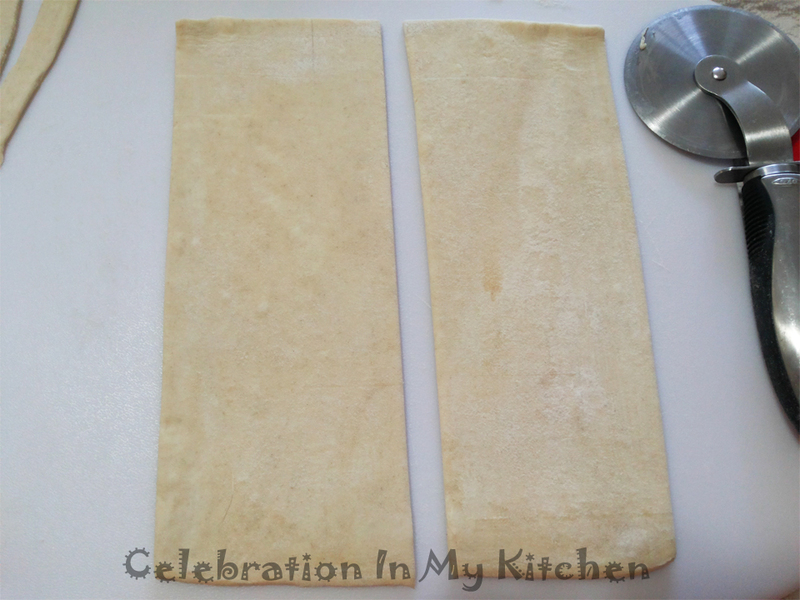 Slice pastry sheet in half lengthwise, each strip measuring 3 1/2" x 10". Divide mince mixture into 5 logs, 4 of 10" and 1 log 8" long. 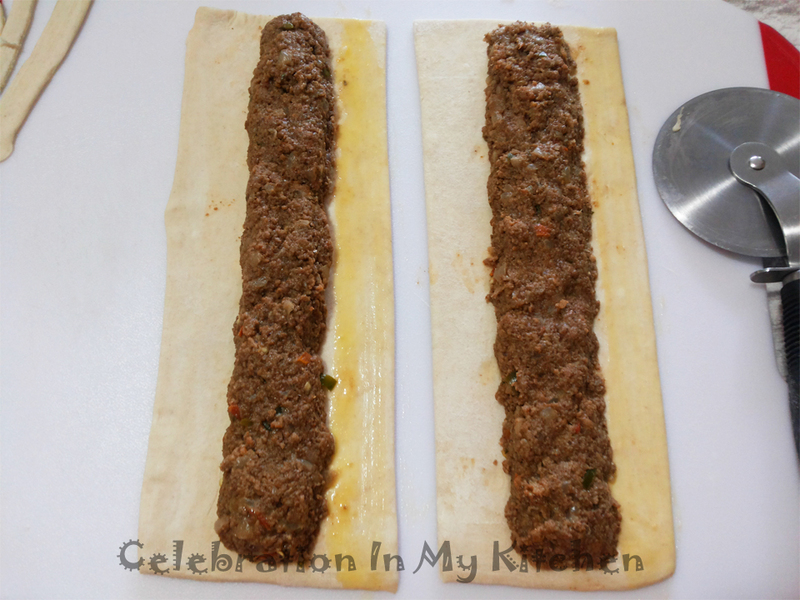 Cut each roll into 5 pieces, each small sausage roll around 2" long. Repeat the above procedure with the second block of pastry. Stack side scraps and roll into 3 1/2" x 8". Enclose the last mince mixture log of 8". 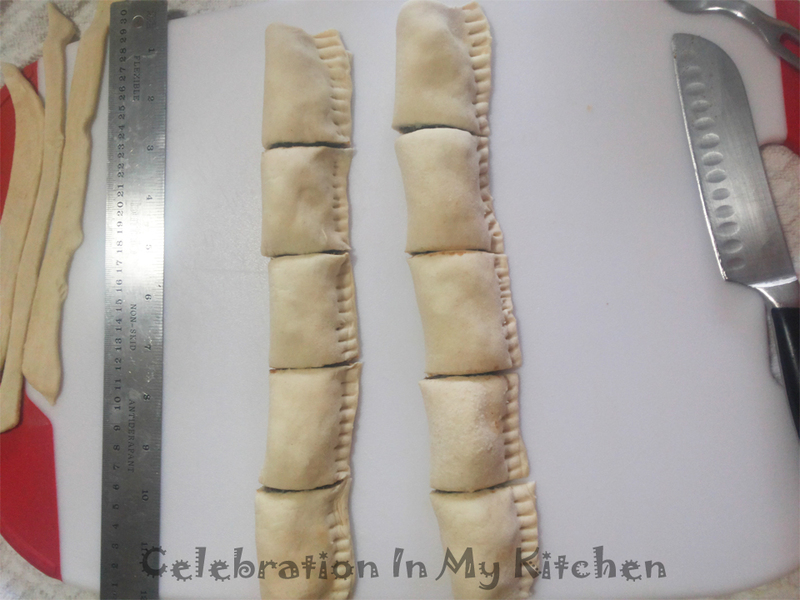 Fold, seal and cut to yield 4 small sausage rolls. In total, you should get 24. 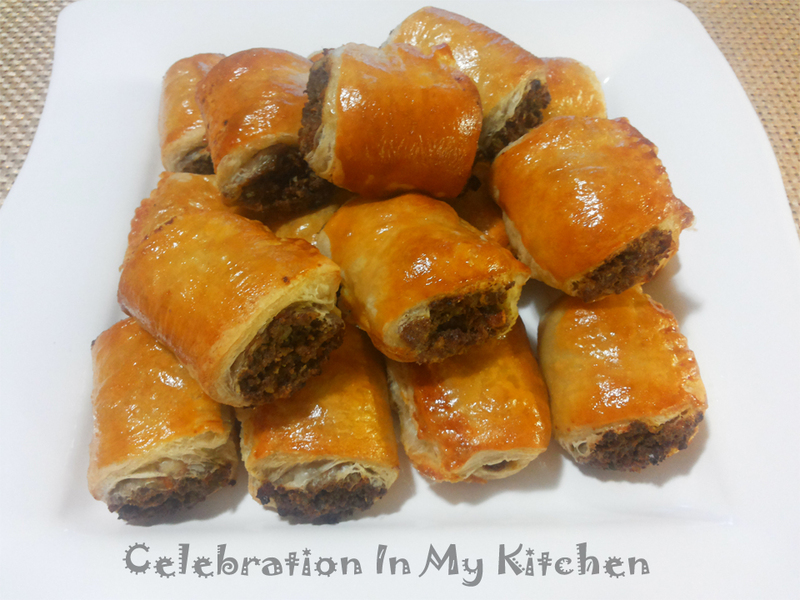 Line a baking sheet with parchment paper and place sausage rolls spacing them slightly apart. Brush top with remaining beaten egg and bake till puffed, golden brown and crisp, around 15 to 20 minutes. Serve hot with ketchup or barbecue sauce. ​You can add some chopped coriander leaves in the filling.